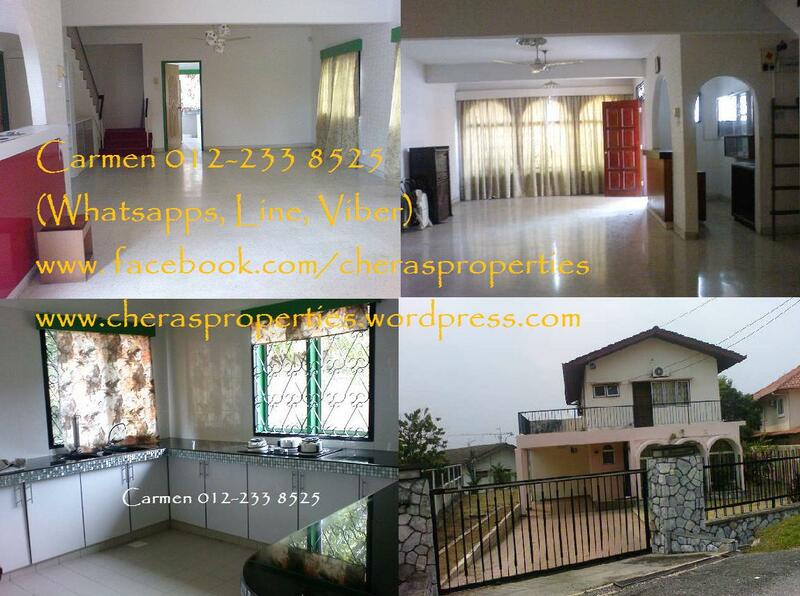 CHERAS BUKIT MIDAH BUNGALOW on rare freehold land. 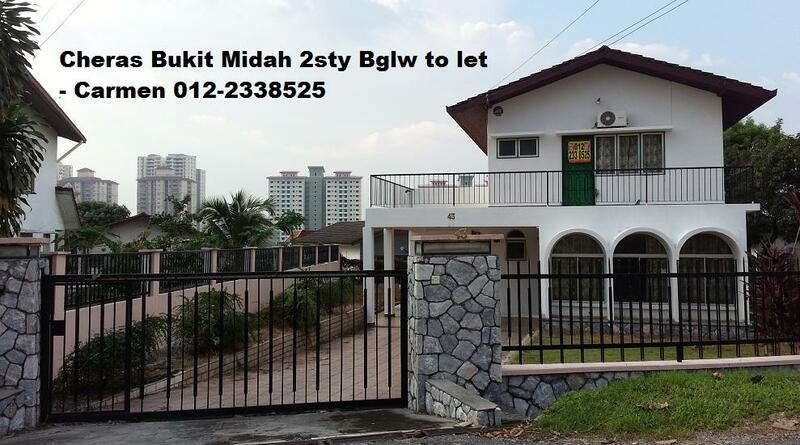 Exclusive low density of 42 units in the enclave of Jalan Bukit Midah that comes with security guard. This basic 2 storey bungalow comes with 3 bedrooms and 2 bathrooms on the upper floor. On the master room, take a peep on the serene quiet neighborhood over a cuppa with its large L shape balcony. On the lower ground floor have a petite bar counter that one can enhance further with some designer’s touches. The kitchen cabinet and top have been recently refurbished. No problem if it’s not up to your taste, just get your favourite interior deisgner to revamp it. On the same floor have a rather large study room, a laundry room, a store room, a bathroom and a toilet. ONLY GENUINE BUYER to call exclusive agent – Ms Carmen 012-2338525. You may reach me via SMS/Whatsapps/Line if I failed to pick up your valuable call, I could be in a poor reception area or perhaps engaged in a presentation. Just drop me a text will you?